ELITE can give you the choice of both male and female fully qualified driving instructors providing driving lessons in most of the the Sutton and Wallington area of Surrey and surrounding areas. We believe in making the learning to drive process as stress free and enjoyable as possible. Our driving instructors know that no two individuals are the same, and therefore the method of teaching will be tailored to suit the confidence and abilities of the individual pupil. You can meet our team, including their bios, reviews and photos by clicking here. Our driving instructors will tailor lessons to the individual needs of each pupil. 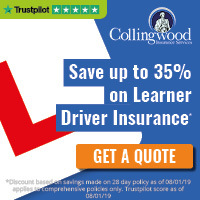 As well as the order of the subjects covered, this includes being flexible on the length of each lesson, where you start and end your lessons, and most of our instructors give driving lessons in the evening and weekends as well as weekdays, so you can fit lessons around your other commitments.